As a one-time surfer, and someone still in love with the sea, I’m conscious of just how difficult it is (and laughable it can be to real surfers) to try to describe to someone else the act of surfing. So, I’ve been pretty impressed with Barbarian Days: A Surfing Life by William Finnegan. It probably wont win my book of the year prize (teaser: full list coming soon!) but it’s just about the best thing I’ve ever read at capturing the act of surfing, and the beauty and terror of big surf. I’ve been listening to this as an audio book (from Audible) and have been surprised at just how powerful that can be, especially perhaps, when read by the author themselves. It’s 100 years since the birth of maybe the greatest Australian writer (certainly the most internationally renowned Australian writer), Patrick White, so it was nice to come along to a panel session of the Melbourne Writers Festival dedicated to his life and work. Sophie Cunningham talked about how reading White inspired her to begin writing, Allison Croggon talked about White’s plays and how they were too undervalued, Rodney Hall talked about the ‘five great books’ that Patrick White gave us, and his relationship with the man and Peter Craven talked about The Tree of Man and what that meant to him and also how scandalous it was that recent writers like White and Stead were neglected. However, the highlight was probably David Marr (White’s biographer) who talked personally about his writing about White, and how Marr saw his mission as ‘saving Patrick White from anecdote’, reminding us of the integrity of the vision of White’s vision of himself as an artist and that his whole life journey was to try to find himself and who taught us something about the ‘sacred in the ordinary’ along the way. It too me a while but I just finished Bob Dylan’s Visions of Sin by Christopher Ricks; a pretty intensive literary critique of some of Dylan’s work, and its poetry. It takes the idea of sins: envy, greed, sloth, lust and also some virtues: justice, prudence, temperance, fortitude to frame a close critique of Dylan as poet. And, ultimately, that’s what I like most about this book; that it takes the idea of Dylan as poet completely seriously and begins from that premise. 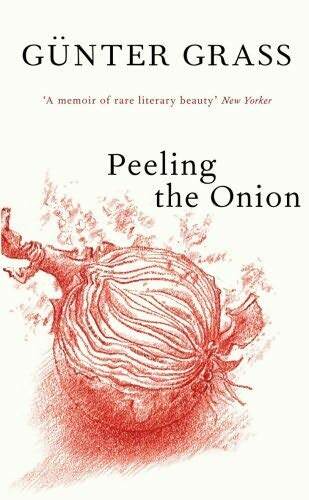 Ricks has written on Milton, Keats, Tennyson, Housman, Eliot and more and he weaves that understanding into the study of Dylan’s work as well as others too, like Larkin and Wordsworth particularly. I found new songs too; how did I miss ‘Blind Willie McTell’ all this time? In fact I’m putting a playlist together, based just on the songs that I’ve looked at freshly again from reading this book. What is it about autobiography that’s so hard to get right? And yet is so powerful when it is? Possibly the ego, and what must be an almost overwhelming temptation to paint yourself in a better light than you actually were at the time. And that can be transparent. But good autobiography is compelling and this is the best I’ve read since I read Nabokov’s remarkableSpeak Memory, a few years ago now. This is the story of the emergig artist/writer, of accidental encounters and escapes, living through and participating in World War II on the German side, and emerging as a writer at the end. This generated some controversy in Germany as Grass recounts his involvement in the Hitler Youth, but it’s beautifully told and a compelling narrative too. I also liked Gary Snyder’s environmental poetry essays, The Practice of the Wild and that particularly Californian brand of West Coast Buddhism that emerges. More in the natural world realm was Leviathan, the remarkable story of man’s encounters with the biggest creature in the sea: the whale, and all the tragedy (literary and otherwise) of those encounters. A nice surprise too was ex Talking Heads frontman David Byrne’s Bicycle Diaries, an example of that very modern phenonomenon of a blog becoming a book and chronicling his close encounters with various cities of the world on his folding bicycle. Part travel diary, part musical exploration, it’s very readable. Did the fact that I saw this book first in the Strand Bookshop in NY influence my affection for this book and maybe even influence it’s inclusion here? Perhaps! I thought I’d post the notes about my book of the year here as well as my web site, for your reading pleasure! 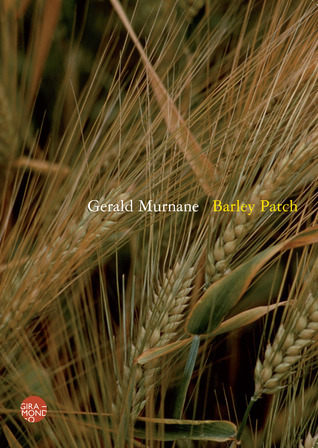 I was struggling where to place Gerald Murnane’s first book in years: fiction, non-fiction, autobiography, memoir, fantasy? All of the above. And none of course. Murnan is a unique voice in Australian literature, a previous winner of my book of the year with A Lifetime on Clouds. He’s one of those ‘love him or hate him’ kind of distinctive voices that you’re either going to throw down at the end of Chapter 1 or be in raptures as this suburban Calvino. I’m obviously in the latter camp. Murnane is obsessed and obsessive. Nothing much happens. I don’t even know if this is fiction, and that’s what half the book is about. The other half is what’s in that grove of trees just beyond the fence line, beyond the wheat field at the edge of the imagination. I thought the anti-narrative Paul Auster made a pretty good comeback with Invisible I often often think that Auster’s work seems so effortless somehow, he’s a kind of natural story-teller, would have been better living in the time of Dickens or Trollope but he’s a bit too immersed in the post-modern for any of it to somehow … matter? Sometimes he does pull it off. This isn’t as good as his book Brooklyn Follies, but hey, that doesn’t come around every year! I accidentally read Spies by Michael Frayn this year too, as part of my reading for the Year 12 English course. It’s a kid of poor man’s L.P. Hartley (the past is a foreign country…) but surprisingly enjoyable in that English novelist kind of way like I find Ian McEwan is. Finally, if you like good atmospheric southern gothic crime writing it’s hard to go pass James Lee Burke’s latest The Glass Rainbow. What began ages ago as a kind of guilty pleasure on holidays, the Robicheaux series about a New Orleans detective working and living in the faded Southern landscape of grand old houses, slave cottages, Civil War remnants, a Nazi submarine sunk during World War II that drifts up and down the coast under the water and repressed and ancient racism and violence, became a new kind of landscape writing for me. 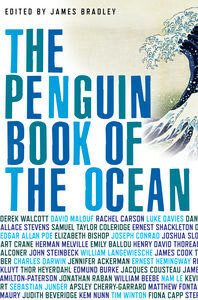 I heard James Bradley on the ABC Book Show last night talking about his editing of a new book, The Penguin Book of the Ocean, featuring writing from people like Charles Darwin, Elizabeth Bishop, David Malouf and Tim Winton among others. I’m not usually much of a fan of these theme-based collections (book of the beach, book of towns etc) because I don’t like reading what are usually extracts from longer pieces, of whole novels, out of context. I think it works for a collection of self-contained short stories about a theme, but that’s about it. But, in the interview Bradley did talk about what he closed the collection with, which was the final scene from David Malouf’s novel Fly Away Peter, where the woman in grief sees a strange image of the future, a surfer skittering across the face of a wave. It’s a beautiful moment and, despite the complexities of some of the ideas, I’ve always enjoyed teaching that novel to Year 12 students over the years. It’s not a novel that’s much about the sea at all really; it would fit just as well into The Penguin Book of the Sky, if one was ever to exist! But that moment was worth remembering, and made me reach for the book from the shelf and look at it again. 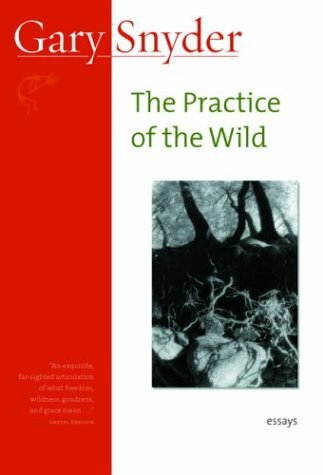 I’ve been a long time fan of the writing of Gary Snyder (do a search of this blog if you don’t believe me) so I was predisposed to enjoy his series of essays on our encounters with the ‘wild’, The Practice of the Wild, which I just finished. And I did! *BTW: I don’t endorse buying from Amazon over your own local independent bookshop. In fact, I’ve only bought 3 things from Amazon ever, two of which never arrived! I just like the wishlist idea.